As the global leader in Friction Welding, Manufacturing Technology, Inc. (MTI) is always looking forward, searching for ways to help put the future of innovative manufacturing into customers’ hands. But to fully recognize and celebrate growth as a company, it’s also important to look back; to highlight the accomplishments that helped lay the groundwork for a successful new year. 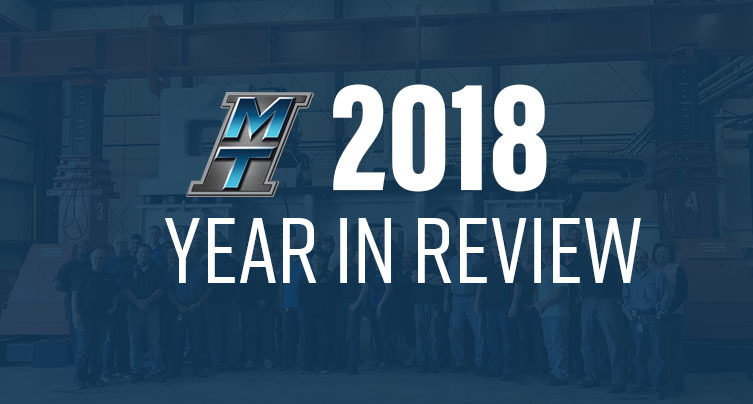 "2018 gave us a lot of things to be proud of," said MTI President and CEO Dan Adams. "It's exciting to see how much our company can grow in just one year." Continuing the strong momentum from 2017, MTI achieved more positive results in 2018 from its continued development of Low-Force Friction Welding. MTI is the only company to have developed, designed and manufactured machines using this welding process in production today. Low-Force Friction Welding touts a list of benefits including reduction in machine cost, faster part cycle times and reduction in machine size. "Low-Force opens the doors to a lot of different developments and customers for MTI," Adams said. "And to see this technology continue to grow is a testament to our company's commitment to innovation." Click here to learn more about the benefits of Low-Force Friction Welding. The early months of 2018 also fostered great success for MTI's apprentice program. Both of MTI's locations in the U.S. and the U.K. provide high school and college students with real-world engineering experience. Apprentices work alongside MTI engineers and machine operators, gaining vital skills to prepare them for a wide array of careers. MTI congratulates the apprentices who graduated from the program in 2018. In April, Adams took center stage at Mini Maker Faire South Bend, an event recognizing the local key players in manufacturing, engineering, science and art. 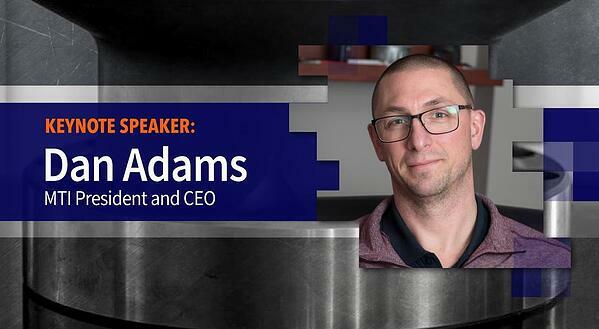 As the keynote speaker, Adams focused his discussion on high-tech manufacturing and detailed MTI’s role in helping transform South Bend into a Midwest tech hub. "South Bend is no longer a rust belt city," Adams said. "Take MTI for example. We're a relatively small manufacturing company but we do business with companies across the globe on a daily basis." In May, a new wave of people and potential customers discovered how Friction Welding could enhance their businesses after visiting the MTI booth at the 2018 Space Tech Expo in Pasadena, California. Experts from MTI shared their extensive knowledge of bimetallics, unique part geometries and near-net shape parts. 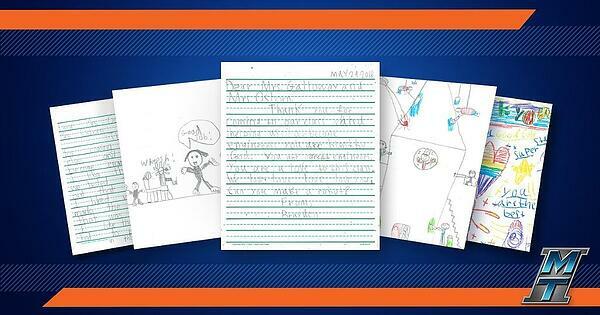 As summer break approached for local students, MTI made sure that didn't translate into a break from learning. MTI visited schools in South Bend, encouraging and promoting engineering to young minds. Before flipping another page on the calendar, MTI renewed its AS9100 certification for the US & UK, ensuring all operations follow strict standards set by the aerospace and defense industries. 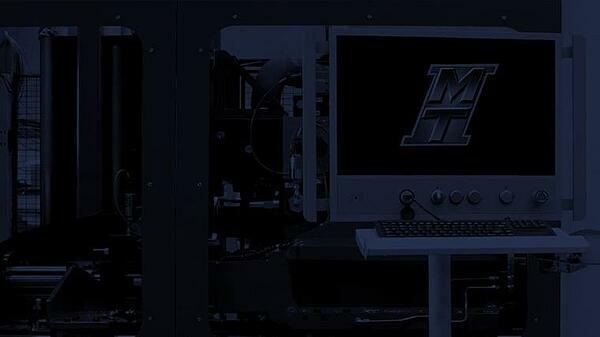 MTI hit the road again in June! This time, MTI’s Gabe Hostetter presented at POWDERMET2018 in San Antonio, Texas. The show attracts hundreds of companies and top manufacturing executives from around the world. Hostetter educated visitors about how MTI uses Inertia Friction Welding on new-generation powder metal aluminum alloys. 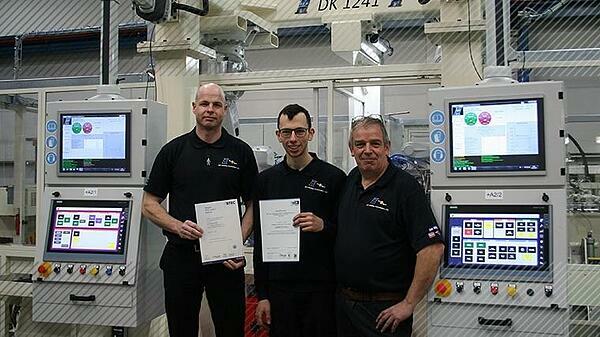 Back at home, June also brought good news to MTI's Manufacturing Services division. MTI increased its CNC capabilities with the Hurco machine, which is used for pre and post-weld processes. 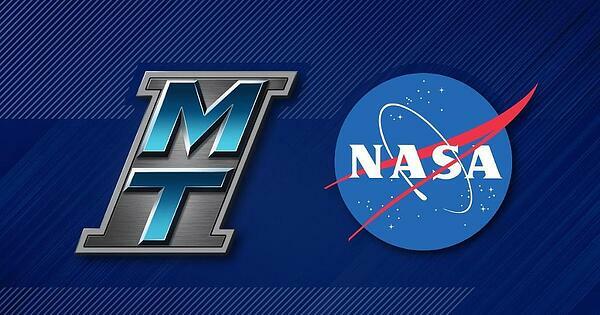 In August, MTI flexed its more than 300 years of combined engineering experience in an exciting research collaboration with NASA. You can read about what MTI and NASA discovered about Inertia Friction Welding here. As the leaves began to change in September, it was clear one thing was not changing at MTI: its commitment to safety. Amerisure Insurance Company recognized and awarded MTI for maintaining 365 days without a recordable safety incident. Also in September, many MTI experts traded in their desks for the trade show floor! The month brought a total of three trade show visits: IMTS, TETS and The Battery Show. 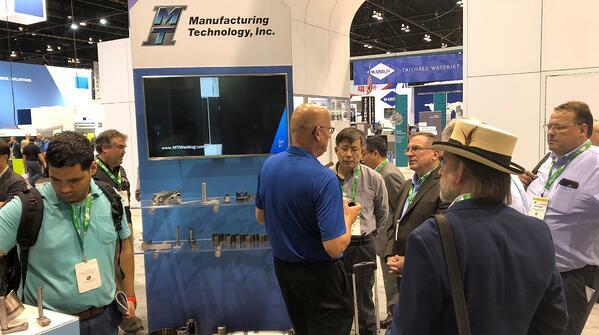 Each visit allowed MTI more opportunities to show off the latest in friction welding innovations. MTI wrapped up an action-packed September with a successful visit with Hanwha, which will soon be the home of the most advanced inertia friction welder in Korea. 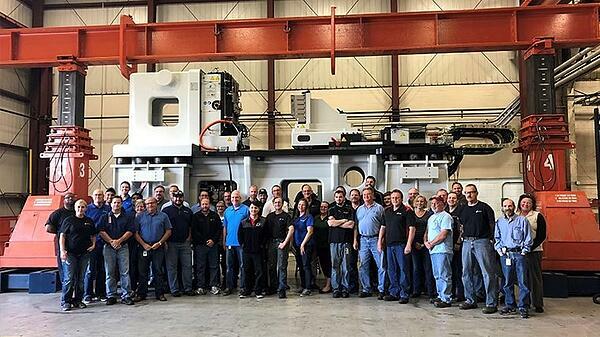 A groundbreaking project months in the making came to fruition in October as MTI delivered North America’s first and only linear friction welder capable of full-sized part development. The massive machine, weighing about as much as a Boeing 737, arrived at LIFT (Lightweight Innovations for Tomorrow) in Detroit. It has the largest tooling envelope of any linear friction welder in the world. At LIFT, the LF35-75 will contribute to cutting-edge, lightweighting research in the automotive and aerospace sectors. Before the creation of this machine, North American customers in the aerospace, automotive, defense, rail and mining industries would have to travel to Europe for full-scale parts. But thanks to the engineering minds at MTI, the technology is now conveniently available in Michigan. "Everything about this machine is impressive," Adams said. "From the time and engineering that went into making it to the possibilities it holds for so many of our customers. This machine really encapsulates the future of friction welding on a large scale." Read more about the machine and project here. Finally, as the temperature dropped and the holiday season approached in 2018, MTI looked for new ways to support the people living in its same zip code. MTI invited its U.S. employees to take part in the Salvation Army's Angel Tree program and Real Services' Elves for Elders campaign. 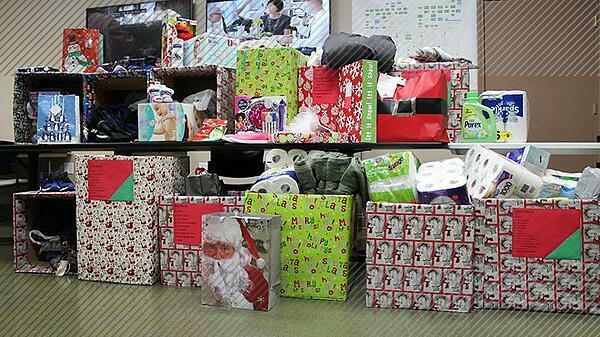 MTI employees stepped up and collected more than $1,300 in gifts and non-perishable items to area children and seniors. Those contributions helped brighten the holidays for dozens of families, including those living within walking distance of MTI. Now that 2019 has arrived, MTI is eager to begin adding to its growing list of accomplishments. "Our progressed Low-Force Friction Welding knowledge and the arrival of the LF35-75 at LIFT were huge feats for us in 2018," said Adams. "I am confident we will see some new, exciting developments come from both of those projects as we make our way through 2019." MTI has established itself as a leader in friction welding, including Rotary Friction, Linear Friction, and Friction Stir Welding technologies. In addition to contract manufacturing services, MTI has delivered machines to GE, Dana, Pratt and Whitney, Federal Mogul, Kolbenschmidt, and many of their tier one suppliers. A family owned business founded in 1926, MTI employs 185 people in their South Bend, United Kingdom, and Slovakia locations.